Mommy by Day...Gamer Geek by Night. We're only 1 week from Christmas and that means BAKING! So today I'd like to share one of my all-time favorite Christmas indulgences. This recipe comes straight from my grandmother and it has been served at every Christmas Eve since I can remember. She is sadly no longer with us, but I have continued the tradition in her stead. These brownies are decadently rich, super satisfying, and incredibly easy! Perfect for any busy mom. Please enjoy this fantastic brownie recipe! Pre-heat oven to 350 degrees. Combine all ingredients in a large mixing bowl. Stir well by hand until combined. Pour mixture into a 13" x 9" greased pan. Bake 25-30 minutes or until you can insert a tooth pick and it comes out clean. Set aside. Combine the first 3 ingredients in a small saucepan. Bring to a boil. Stir constantly for 1 minute. Remove from heat and stir in the chocolate chips. Mix until smooth. Pour over brownies and smooth with a knife. Allow to cool completely before serving. 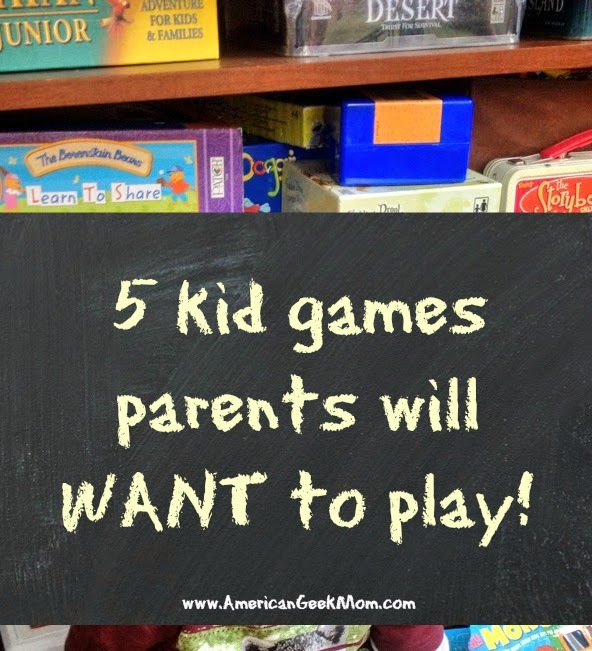 5 Kid's Games Parents Will Want to Play Too! When I was growing up I loved to play games with my younger sister. I remember lazy afternoons filled with games of Sorry!, The Game of Life, and Uno. Some days we would even make up our own version of a game and try to teach it to our parents. Thinking back, we were definitely lucky to have each other because we always had someone to play with. Besides playing with each other, we also enjoyed watching our parents played games of Trivial Pursuit, Rummy or Monopoly at our holiday gatherings. Sometimes they would even let us join in as the special dice roller or question asker. All of these past experiences have helped shaped my love for gaming, which I fully plan to pass down to my children. Wait! Who am I kidding, it's in my kids' blood! Since day 1, my oldest son has been fascinated with our game nights. Whenever we pulled out a game, he'd sit and watch every move. Now at age 4, he is a force to be reckoned with at the game table. In fact, as soon as he gets up most mornings the first thing he'll ask to do is play a game. Over the last year, his board game collection has grown tremendously. It has gotten so big, that his collection now rivals ours! Now let's face it, his (or any kid's) passion to play can sometimes get a little tiring. Children's games tend to be lacking in the strategy department and rely heavily on a spinner or have a roll and move mechanic. Not the most exciting games to play over, and over, and OVER again. Luckily, board games, both adult and kids, have changed a lot since I was young and I wanted to share 5 great games for kids that you'll want to play too! This adorable little game features cute little penguin figures and lots of nice sturdy hexagonal tiles. You play as a determined penguin who is hungry for his next meal. players compete for their next meal atop a shrinking Antarctic ice flow. You see, each time a penguin moves, the tile they were on is collected. Will you be the one to collect the most fish before the ice flow has you trapped? Quick learning time, an ever changing game board, and simple mechanics make this a great game for any age, but the ability to make the game as casual or strategic as you need makes it the perfect game for a family of growing gamers. If you are a true gamer, you have probably played Settler's of Catan. Catan Junior is a new spin on the classic game with simplified building rules, child-oriented trading, and a more forgiving robber equivalent know as the "Ghost Captain." Now I know that sounds like it might be too simplified, but trust me it's not. There are still plenty of strategic moves to be made throughout the game and without the ability for the game to be bogged down by trade negotiations, I find it much more enjoyable. Plus its themed out with pirates. You just can't go wrong! This one is great for a family that wants to play as a team. While there is an option to have an ultimate winner, the game itself is completely cooperative. Monsters are invading from the nearby forest and you must work together to protect your castle. Through trading cards, rebuilding walls and working together to hit and slay monsters, you can keep your tower intact. There is some reading needed for this game, but due to it's cooperative nature, other players can easily help younger ones who may not yet be able to read. Who doesn't love story tales? Enchanted forest is a game of hidden treasures. 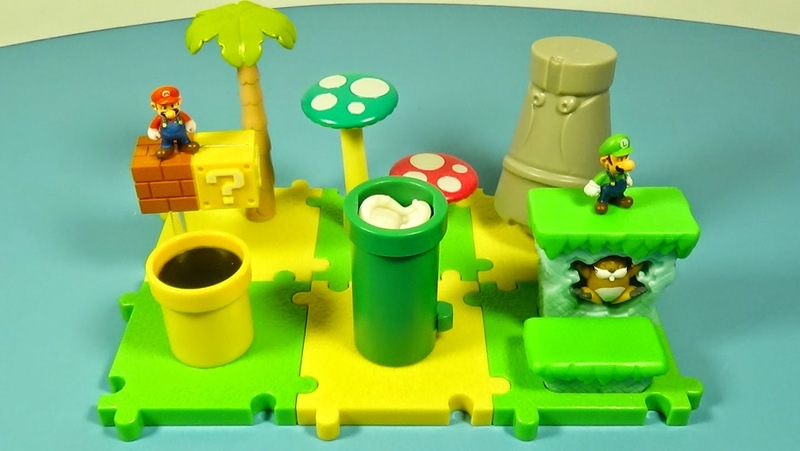 During the game each player must search the forest for the treasures needed at the king's castle. You might need to find the glass slipper, or maybe its a dwarves hat. Each turn you search the forest by rolling 2 dice and moving that number of spaces. There are many roads throughout the forest and a quick-thinking player will know the best paths to take to reach the trees. Once you've discovered the treasure requested by the king you must make your way to the castle and announce it's secret location. The first player to find three treasures for the kings is the victor! I love to play this game with my son. It has been wonderful to watch him learn different strategies and see how concentrated and focused he gets. Memory is key in this game and the variable board keeps the game fresh play after play. This is another great cooperative game. By taking turns and gathering clues found in various rooms in a castle players work as a group to solve the mystery of who stole the magical ring from the king. The ring protects the kingdom from the evil wizard. The castle animals witnessed the act of thievery in the night and can give the children clues (cause only children can understand animals). If all players together can solve the mystery before time runs out, everyone wins. If the players can't, everyone loses. The game comes with an electronic treasure chest that gives you clues throughout the game. The game also has a time limit which prevents it from dragging on and offers some suspense each time the fairy announces the time. Several game level options add more variety to the game as well. Of all the games listed here, this probably has the most difficult rules. The first game may be a bit slow, but after your initial play the kids should be able to play on their own. All of these games have had a dedicated spot on our game shelf and I can see them lasting there for several years to come. What games do you not mind playing over and over with the kids? I'd love to hear the games you find fun and challenging with your kids. Catan Junior i.e., Pirate Catan! Whether it is a battered copy of scrabble or a shiny new copy of Kings of New York, homes all over the country will be pulling out their favorite games to play this holiday season. Here is a rundown of my family's top 10 holiday board and card games. But before we start, I need to share the story of the mandatory Monopoly game. Ever since I met my husband back in 1995 I have had a front row seat to this family tradition. It all started when he and his siblings were younger. Every Christmas his family would pull out monopoly and play after Christmas Eve dinner. Now, this was not a simple game of Monopoly, this was a cutthroat, no mercy game of Monopoly. We're talking no free parking, no quitting, and if the next person rolls the dice before you say pay me, you don't get paid. It is quite the sight to see. In fact, my husband's youngest sister was banned from playing for several years due to the no whining or quitting rule! The first few years I played as a team with my husband, but before long I was right there in the mix with everyone else. laughing, trying to pass the dice before I had to pay, and getting in arguments over properties. While Monopoly is definitely not one of our families favorite games, this tradition has kept us bringing it out year after year. It's not always the games you choose to play, but the memories they make that are important. So, Every Thanksgiving and Christmas it continues to be MANDATORY to play a game of Monopoly. And without further ado...Our top 10 family games of 2014! We have many, many games we love to play, but this list is comprised of the games that make it year after year to our holiday table. Enjoy! Since its release in 2004, this board game has made it to our holiday table year after year. In fact, we played it so much the first year, that we took a break from it the following year before bringing it back to the table :) Ticket to Ride is a great game for a wide range of ages. It has simple rules that can be taught in about 15 minutes making it a fantastic game to teach the whole family. Players compete to build routes and earn points. The longer the route, the more points you'll earn! 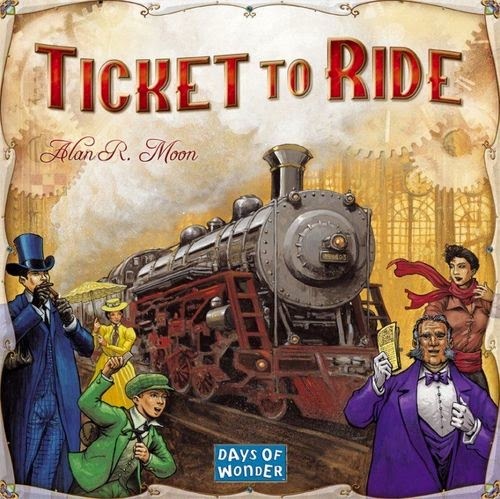 There are a wide variety of versions to choose from including, Ticket to ride: Europe, Ticket to Ride: Marklin, Ticket to Ride: Nordic Countries, and the Ticket to Ride Card Game. Any would be a great addition to your collection. Who ever thought a box of cards with nouns and adjectives could be so much fun! This game has kept us laughing over the years and it's an easy game to grab whenever we need a quick filler. We usually don't even play to win, we'll just play until we're done laughing! The game is super simple. Everyone has a hand of nouns. The judge flips an adjective and reads it to the group. Then players rush to put down the card that best matches the adjective. Laughing ensues. That's it! 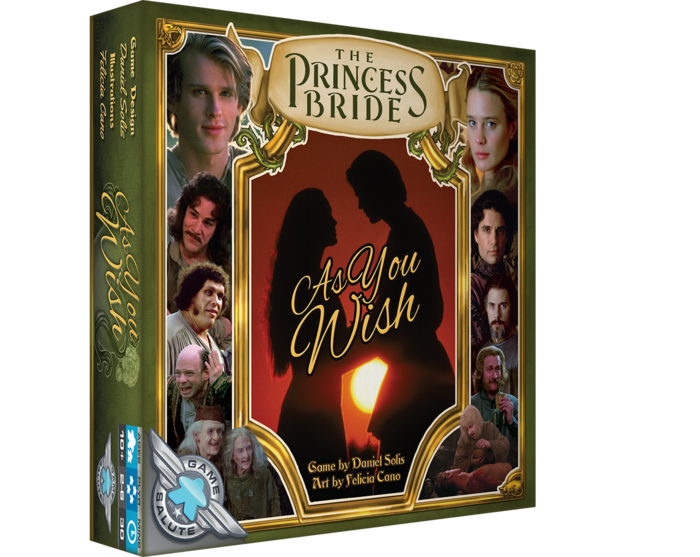 If you are looking for something slightly different, or more grown up you might also want to try Cards Against Humanity or The Princess Bride: Prepare to Die! This game has some of the most beautifully illustrated cards I have seen in a game. In the game, the story-teller must come up with a phrase to describe one of the illustrated cards. Then the other players chose a card from their hand that they think also matches this phrase. To earn points, players must try to pick out the story-teller's card from the cards of the other players. This is a great game to get the creativity flowing and it is just so pretty to look at! This is one of my dad's favorites. He loves gin rummy, so this hits the mark. It is a card game that combines the set scoring of rummy with the word creation of scrabble. Each round players compete to create words with an increasing number of cards. Round 1, you have three cards, round 2, four, and so on and so forth. Each round you score points based on the numbers each letter is worth. If you love word games, then this is definitely one to try! The goal of this game is to become the first millionaire! To do so, you must collect and hide your valuables. Each player collects pairs of matching assets and places them in a pile in front of themselves. Each time they collect a new asset, it stacks on top protecting the ones below from the greedy hands of the other players. If a player has a matching card to the top card of your stack, watch out! That player can try to steal your valuables! Grandparents to kids, casual to competitive gamers will enjoy this fast past, hilarious game. Oh, and it even comes with a recipe from Grandma Beck inside!! This modular board game is made up of variable height hexes that slowly disappear as the island begins to sink. The lower areas of the board sink first causing your meeples to seek higher ground. 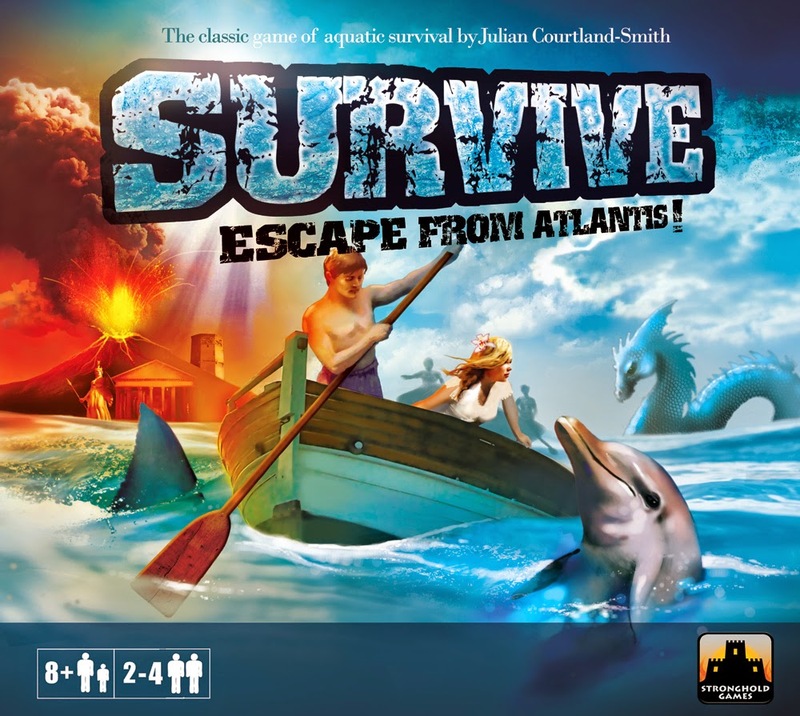 As the island sinks, sharks, whales, and sea monsters can attack causing all kinds of trouble. The thick sturdy tiles, quality components and easy to learn rules make this a great family game. My 4 year old even enjoys jumping in to play a game with us. He may not get all of the strategy, but he definitely loves to topple boats with the whale or send the sea monster to gobble up an unsuspecting boat full of meeples. 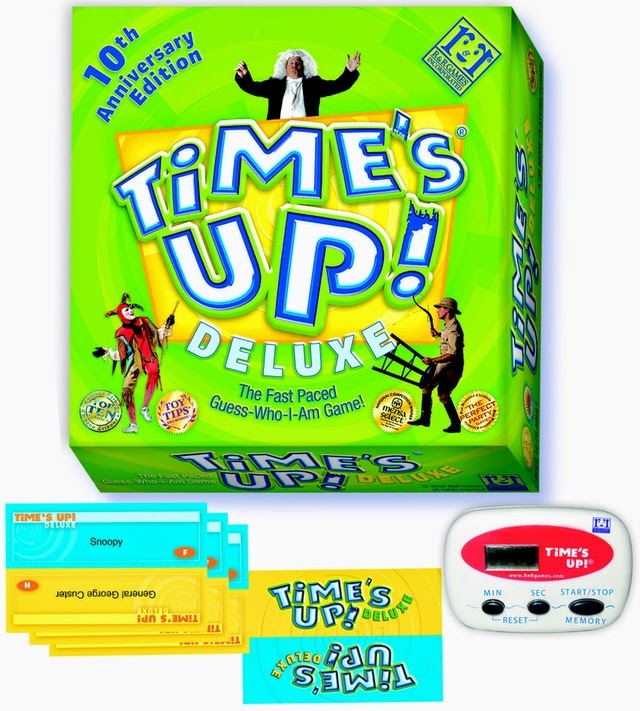 Time's up is similar to charades. The difference is that in this game, you have three different rounds with varying amounts of speaking you can do. Round 1: say anything you like accept the word on the the card. Round 2: You may only say 1 word, and round 3: no words, just motions. This is one of our families all time favorites. Its a very active game and involves a lot of participation, so if that is not your thing, then this might not be the game for you. Whenever we pull this one out we are all rolling on the floor laughing before the end of the first round. 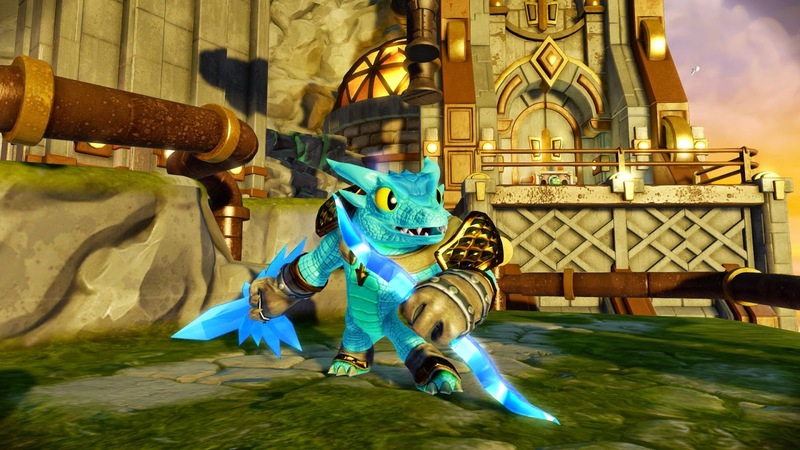 There are several versions of the game. Time's Up: Title Recall is by far our favorite version. This version challenges players to guess the titles of books, films, songs, etc. rather that the famous people from the original version. 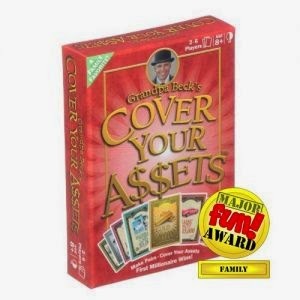 This would be my 4 year old's top pick for favorite family game. Who doesn't want to play a giant Kaiju taking over Tokyo? King of Tokyo is a simple dice and card game with a lot of luck. With 6 different monsters to choose from, there is also a lot of variety. What makes this game so fun is the knock'em n' sock'em monster combat. There is a lot of ganging up on one another, but you never feel like you are being picked on for long. One monster takes over the center of Tokyo and hurts all the others at once -- and every monster outside of Tokyo attacks only the monster inside. With the constant moving of players' monsters in and out of Tokyo it creates a fun and exciting King of the Hill experience for everyone. This year we will be adding a new addition to this little gem of a game. King of New York is a brand new stand alone version of the game that adds new elements and a new feel that we are sure to love too! Kerflip! 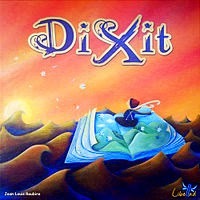 is another fantastic word building game and one that comes with a Mensa award too! One of my favorite aspects of this game is the genius board design. The board fits nicely inside the box creating little pockets to slide the letters into during the game. 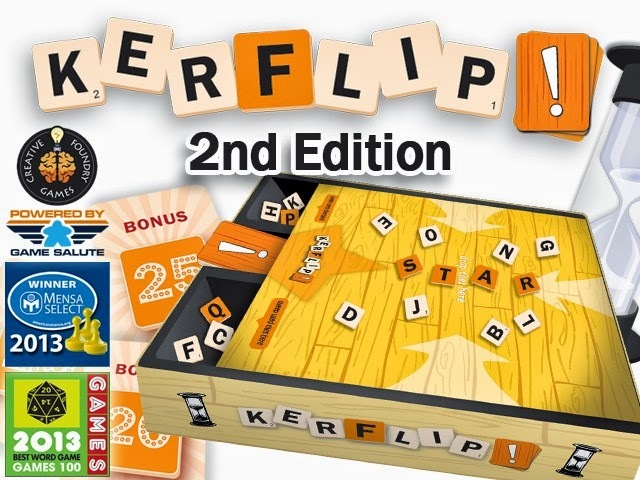 At the end of the game, you simply flip the box up and all the letters end up neatly in the collection box inside. The game is quick to learn, easy to play for a wide range of ages and skill levels, and it's a blast! I personally do not fair well in word games versus my husband, but I have been victorious many times with this one. 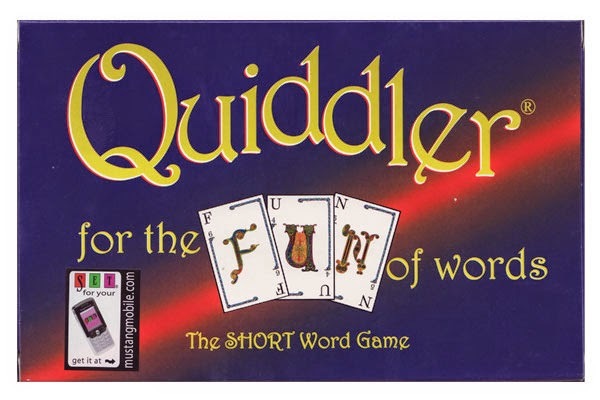 This game rewards quick thinking and you don't have to rely on knowing obscure words to be victorious. If you look up the word anomia, you will find it means the loss of the ability to name objects or recognize names. 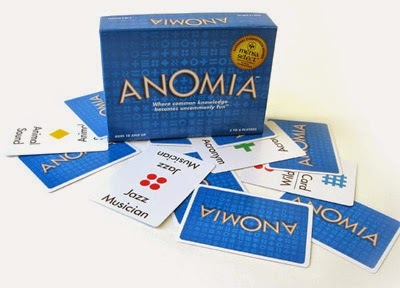 The game of anomia plays off the fact that our minds are filled with all sorts of random information. From things to eat and what to watch, to places to visit, our minds are always working. It's easy to give examples of a breakfast cereals or a types of tree under normal circumstances, but how will you fare under pressure? The first time I tried this game I was 6 months pregnant with my now 4 year old. 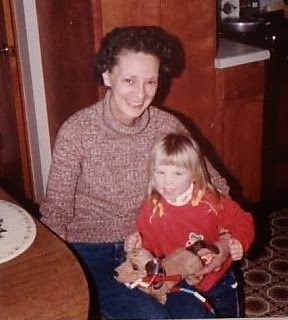 I had such mommy brain at the time, that I crashed and burned marvelously. I had anomia! The game is simple. Draw a card and place it face up in front of you. Does it match any symbols on another player's card? If so, you must quickly come up with an example of the noun on your opponent's card before they can say one for yours. The quickest person earns the card and play continues to the next player. That is, unless another symbol matches another player's after the losing players card has been claimed. This can cause quite the cascade and a raucously good time. So that's it. 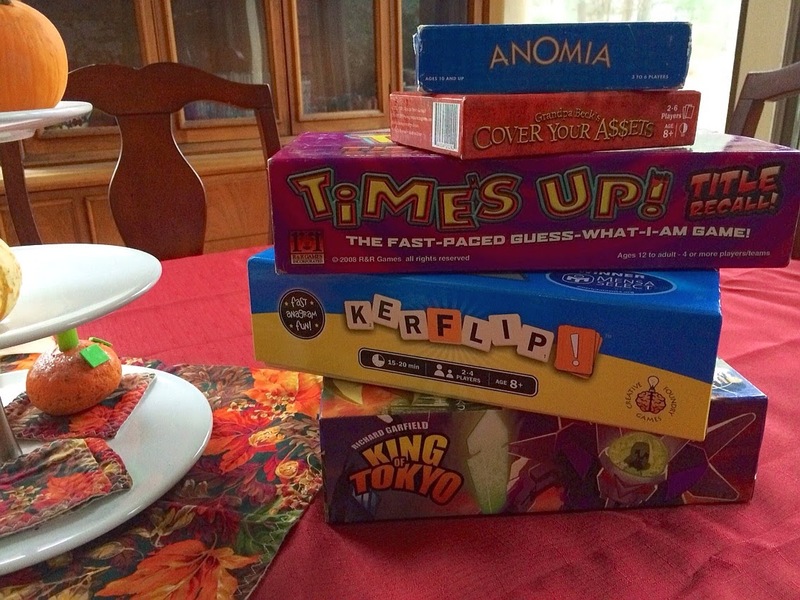 My family's top 10 games for holiday gatherings. I'd love to here what some of your favorite family games are. What games make it to your table during the holidays? Well it's been about a month since I hopped on a plane for what would be my first vacation away from the kids in 5 years! Aside from getting a heck of a lot of sleep, my husband and I planned out a 2 week trip that combined both business and pleasure. The first leg of the trip was to Essen, Germany for the annual Internationale Spieltage. While this was a working vacation for us, it would be a great destination for anyone who loves board games. There is nothing quite like walking into the Messe Essen and seeing the sea of people playing board games. The best part, a lot of them are families! SPIEL is the largest convention for board games and it attracts a multitude of exhibitors, publishers, authors, illustrators and distributors who flock to the event to showcase their newest games, toys and comics. This year an overwhelming 786 exhibitors traveled to ‘SPIEL’ in order to launch new products, meet with press and to meet the people who love playing their games. "I will, and I choose - What in the world can that be?" If you recognize those words then you are a true fan of a great film. 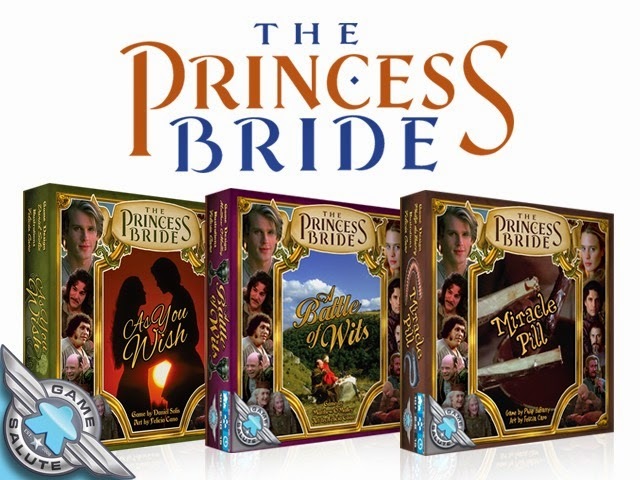 The Princess Bride has been a staple in our household for many, many years and I am proud to announce the release of another set of 3 new card games. Everyone fan of the film has their favorite moment and now you can add 1, 2, or even all three of these great card games to your collection. Each game is based on some of the greatest moments from the film. The quote at the top is the clue to the first game's title. That's right! The Battle of Wits! 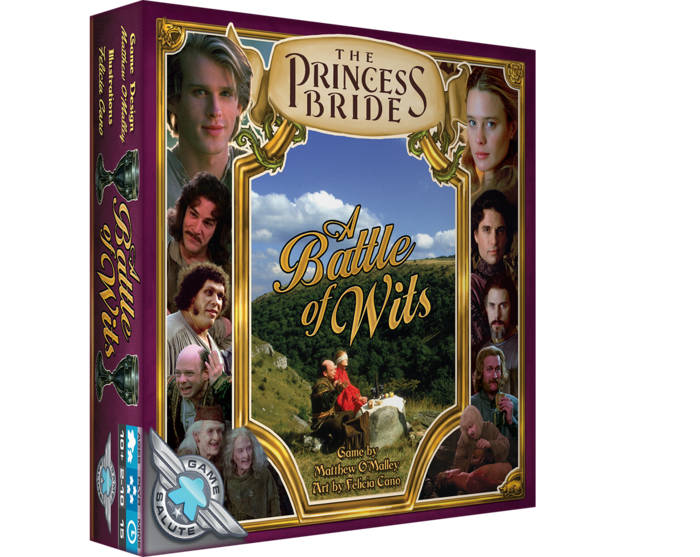 The Battle of wits pits up to 10 (yes 10) players against each in a bluffing battle. Each player will take sips throughout the game. Too much poison, you're dead! Will you live or fall prey to the Sicilian? Only the most intelligent will survive! Will it be you? I'd like to add that this would be a fabulous game to grab a bottle of wine and really role play the whole thing :) Why not, right? Here's a clue for the next game's title. "Grandpa, maybe you could come over and read it again to me tomorrow." Do you recall grandpa's answer? That's right, AS YOU WISH! and that is the title of the second card game. In this game you are wuv, tru wuv. To do so, you must collect a set of cards based on the desires of the character you are playing. But it is not as easy as it seems. Certain cards contain skulls that threaten to remove valuable cards from your quest. Will you be the one to come out victorious? OK, Here's the clue for the final game. That's right! 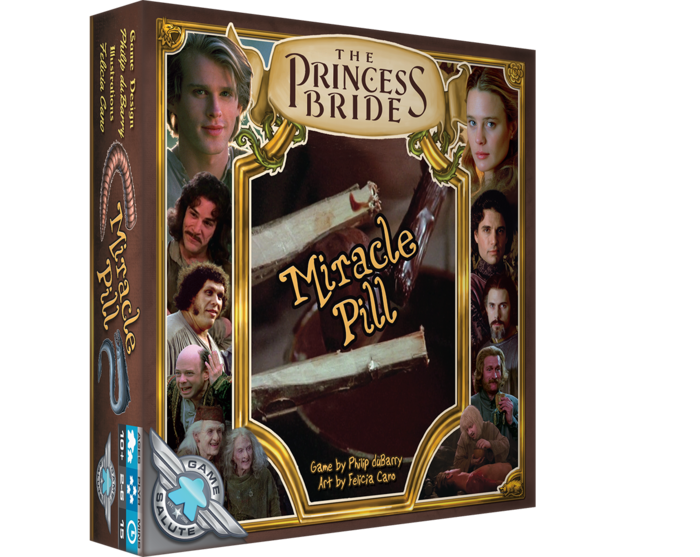 The final game is called Miracle Pill and you are the one trying to put a little magic into a not so little pill. You have 3 rounds to make this happen and each round pushes you a bit further. Will you save the Man-in-black or will your experiment fizzle? So there you have it. Three fabulous new card games coming soon to a table top near you. The games are currently on Kickstarter, but only for a limited time. The campaign ends Tuesday, November 25th. To secure your copies visit the campaign page here so you will be sure to be one of the first people to own these fun new games! I don't know about your kids, but mine has begun making his wishlist and I wanted to share what my little geek is most excited about this holiday season. 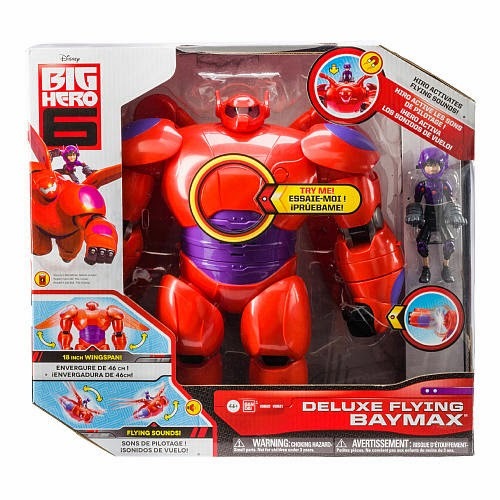 Many of you have probably seen (or at least heard about) the newest Disney movie, Big Hero 6. Well, it wouldn't be a holiday movie release if it didn't also have awesome toys to go along with it. Bandai has released a collection of action figures and you can choose your favorite heroes, use their special powers, and save the world from evil villains. 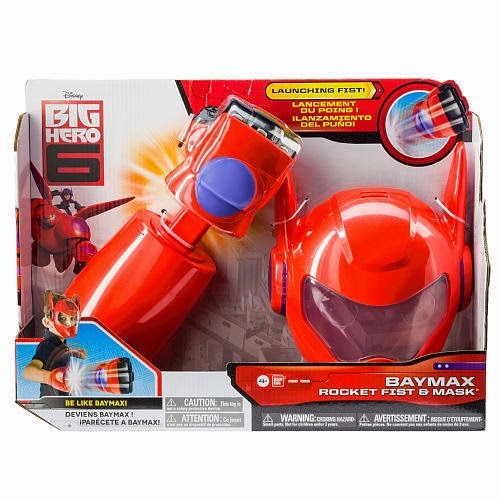 Bandai has also released the Baymax Rocket Fist and Mask Set. My son is begging for this one. He loves to dress up and play the part. I can see the fist flying through my house now. The flying fist is made of a soft material keeping it safe for kids to play with. My son is a HUGE fan of all things Superhero (Marvel in particular) and the Mr. Potato Head Mixable Mashable Heroes have made this year's list. He has always liked creating his own silly faces with the original Mr Potato Head, and we have even added some of the the Star Wars Taters to the collection, but these little guys mix the fun of Mr. 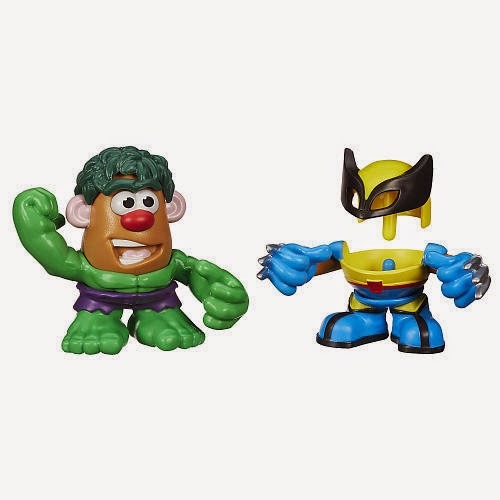 Potato Head with Marvel parts to create Wolverine, Hulk, Captain America, Spider-Man, Iron, Man and more. They are sure to be a hit in any home with a Superhero fan. Not a superhero fan, you can always try these awesome Dr Who themed Taters too! These are all fun toys, but what has my son the most excited this year is the release of Skylanders: Trap Team. He spent a good portion of last year collecting, sorting, and playing Swap Force and now he's gearing up for the newest set. He even took the initiative to write his own list to Santa and I was very proud of his 4 year old Handwriting. Bonus Handwriting practice!! I have to admit, I was not sure about him playing this game. I knew it had a heavy monetary investment. The first game was given to him as a birthday gift and he had so much fun with it from the start that I just couldn't say no. It has also become a special father/son bonding time that I think is well worth the money in the end. Now, In order to reduce some of the need for him to own everything all at once, we did institute a sticker chore chart. He can exchange his stickers like cash for things he would like to own and it's been great. Over time he has begun to understand that things cost money and it has taught him the value of saving. And the two things he saves and uses those stickers for more than anything else, Skylanders and Board Games! 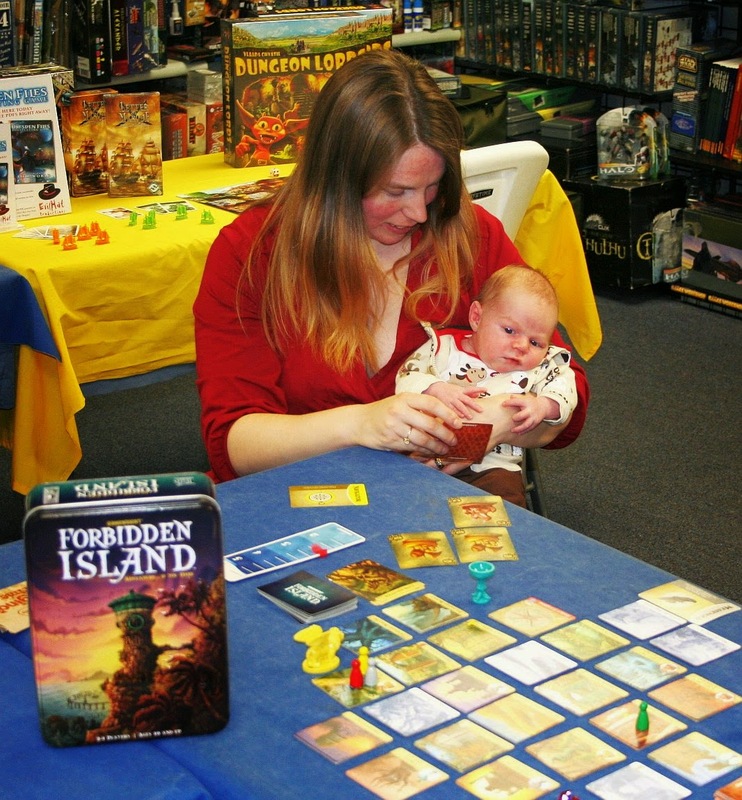 My son was born into a house that loves board games. In fact, his father owns three retail stores and publishes his own games. Logan is only 4 and has already been to Gen Con and Pax East. He is no stranger to the world of Games. That being said. This is his list of board games for 2014. 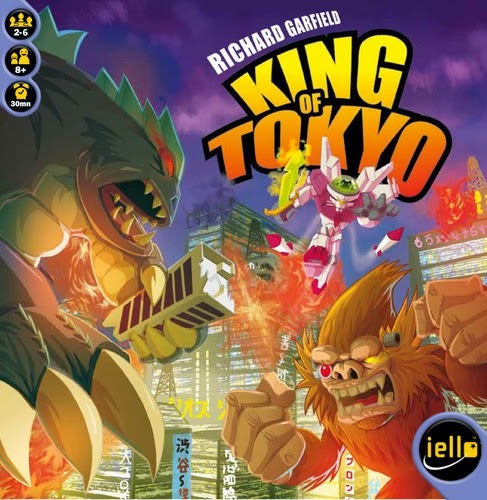 King of Tokyo was such a hit, that it is no wonder that it is first on the list. Oh, and he beats me every time! Yes this is an older game, but he has just learned to play Enchanted Forest and this is a great companion game. Daddy plays Zelda, son watches daddy play Zelda, Daddy collects cool editions of Monopoly. Enough Said! OK, so this is not on his list, but it is on MINE! 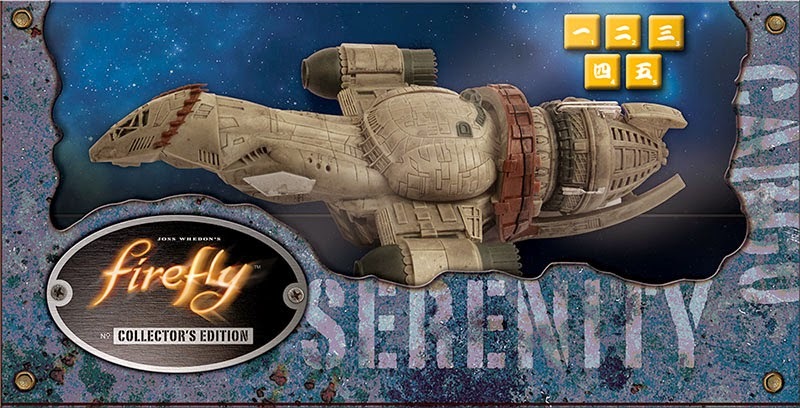 and what kid wouldn't want to own a replica of the Serenity that is also a dice cup? Face it, as Gamers, we long for uninterrupted blocks of time dedicated to playing the latest and greatest games. We dream of weekends free from obligations where we can gather and bask in the joy of defeating the Cylons, curing the world of Pandemics, or reaching the paragon tier with our newest heroes. Then life dawns on us and we are back to the work that needs to be done, commitments that have to be kept, and responsibilities that lead us to believe that we will never again have the time we once had to enjoy our hobby. I’m here to tell you that it can be done. With a little bit of organization, a reality check that life happens and things come up, and someone willing to take on the role of organizer, I promise that you can be back to gaming in no time. So you want to get a group together for regular game nights. Who do you invite? You know that Steve lives down the street, but his work schedule isn't always consistent, Josh and Amanda both have weekends off but you’re not sure they could get time away from their two kids, John has a new girlfriend, Mike is usually free but lives about 30 minutes away, and Bill and Stacy would love to get together as long as they can be home before 10. Sound familiar? One of the easiest ways to get a group going is to begin with a casual game night invitation. Casual gaming creates an atmosphere where no one feels pressure to attend every time. Begin by sending an invitation, whether via email, Facebook, or an online invitation service such as Evite, suggesting to everyone that you would like to get a regular group together to play games. Have them reply with days, times, and spaces that work for them, as well as any major commitments they may have during the month. As the initiator, it is also polite to offer your own space as the first place to meet, assuming you have the capacity to host. Step 2: They've Replied, So Now What? You have received replies and just about everyone has expressed interest in attending. The trouble is, not everyone’s availability meshes. Don’t panic! This is going to happen and the object is to find at least 2 times that work for a fair share of the group during any given week. You will not be able to involve everyone every time, but the good news is that you have their schedules and can adjust the game nights to give everyone an opportunity to attend. By planning two gatherings a month you should be able to get just about everyone to attend who wants too and no one feels overloaded, If it works out that you can get together more often, all the better! In all honesty, it is usually better that everyone cannot make it. The best number of people to have for a game night is 4-6 anyway, since most games support this number of players. If you find you have a large group, party games or multiple games going at the same time might be in order. So let’s say, after assessing the days and times your friends have suggested, you discover that the best days would be Wednesdays at 6 and Sundays at 4. Taking into account the wedding Bill and Stacy told you about on the first weekend of the month, you send back the dates for your first two game gatherings. The dates have been set, and you are well on your way to your first game night. Your next challenge, what to play? If you have a large collection of your own, send out a list to the group and get some feedback. Let the others chime in with favorites of their own and thoughts on what they enjoy. Not everyone is going to like the same type of game, and getting this clear and in the open from the start will help the group enjoy their time together far more than if someone ends up forced to play games they don’t like. Like any group situation, there needs to be compromise and you can often get past these battles by being proactive. Let’s say Mike is dying to try Keyflower and suggests it to the group. The others don’t know much about it, but Josh and Amanda have seen the game displayed in their friendly neighborhood game store and believe that it will take far too long for them to play. There are a few things they need to consider. First, time. Some games take hours to play and can take far longer the first time through. Second, complexity. 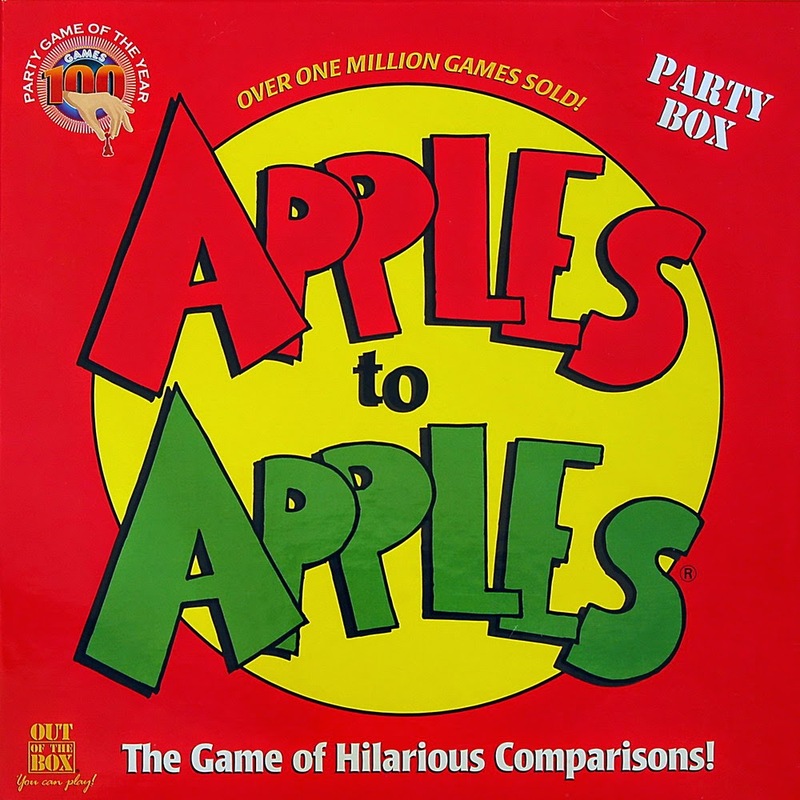 Many of the others involved in this particular group have only really played more accessible board games like Apples to Apples and Carcassonne. While they are interested in learning more complex games, this one might be a little too complex for a first get-together. Third, appeal. Keyflower is a game that has a certain feel to it and might not be for everyone. Most people will give games the benefit of the doubt, but if someone has strong feelings against a suggested game, it would be wise to find another time to play with those who are interested. It’s not worth making the whole group miserable just because you want to play a certain game. And the same goes for suffering though a game if you know you can not be happy playing it. The point is to have fun, and if you are not, then you are missing the point of games entirely. So, after a few more emails back and forth, the group decides on playing Carcassonne and the suggestion of King of New York, a game you just picked up. Keyflower has been put on hold, but it appears that there is a fair share of people interested in trying the game, and a time will be worked out for a future game night. Remember that as the host, you should familiarize yourself with the games you are planning on playing (especially new ones) and be ready to teach it to the group. If you have to spend time reading the rules before you play you will lose out on precious gaming time and possibly not get to all you had hoped to accomplish. The game night is fast approaching and you just realized you forgot something, Food! This is one area that some people tend to overlook. You will most likely be gaming for several hours and snacks, if not a meal, will be welcomed and appreciated. Food can sometimes be tricky, as it needs to be easy to eat while playing (no grease on the cards please! ), able to feed a decent number of people, and relatively easy to prepare. As the host you should provide the basics for the meal, but there is nothing wrong with asking others to provide drinks and snacks. Since the host is providing the space, the dishes, and the time to get the group assembled, it is only polite for the guests to bring something to share. Over the next couple weeks, I will be providing you with some great gamer tested recipes for you to try at your next game night. Here's a quick recipe to get you started. Brown chicken in a large pot. Add onions and garlic and saute until onions begin to look transparent. Add remaining ingredients and simmer for 1 hour. (You can also place it all in the crock pot, set it for 6 hours on low and it will be ready when your guests arrive!) Serves 8. Welcome to my world. A world full of toys and games, webcomics and picture books, costumes and hand-me-downs, recipes and Tolkien themed parties, all tied together with love and the occasional sonic screwdriver.